The Spider ride could be found in Festival Park. 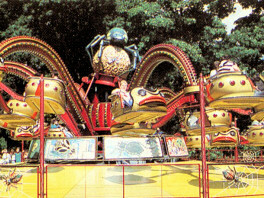 The ride was very similar to the Octopus that was also in the park at this time, where pairs of seats, connected to the spiders legs, are spun around a central hub. The Spider was removed in 1991.